Welcome to the Veritas Staff of 2017-2018. 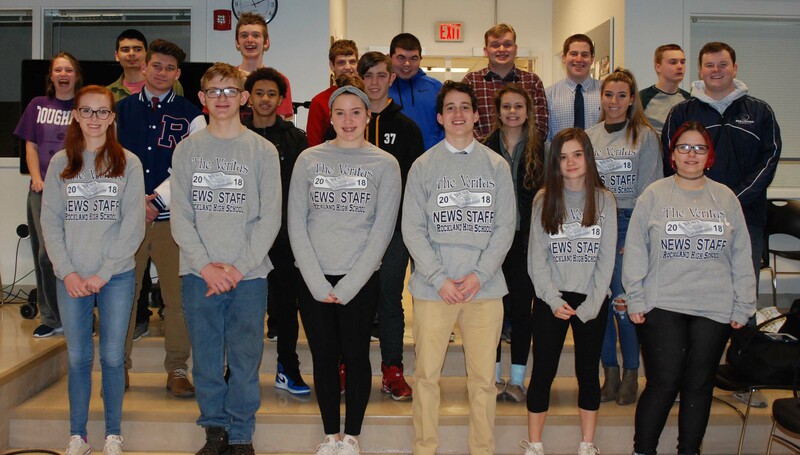 We have a great group of editors and writers to cover the news and features important to Rockland High School students and community. Check out our website frequently and get a copy of the Veritas each time it comes out each month for in depth and up-to-date articles and information. See a Veritas staffer to get your copy anytime or go to Room 126 and see our advisers, Mrs. Lannin-Cotton and Mr. Cable-Murphy.